Winter Chinook Fishing in the Vancouver Harbour area has been fair to good over the past couple weeks, lots of feeder springs in the 8 to 10 lb range being caught as well as some excellent crab and prawn fishing. The new Gibbs Guide Series flashers seem to be doing the job out there, lots of great reports coming in from anglers using the Lemon Lime, Bon Chovy and STS Highliner Flashers. Most of the guides are trolling spoons just off the bottom with best bite on the incoming tide. 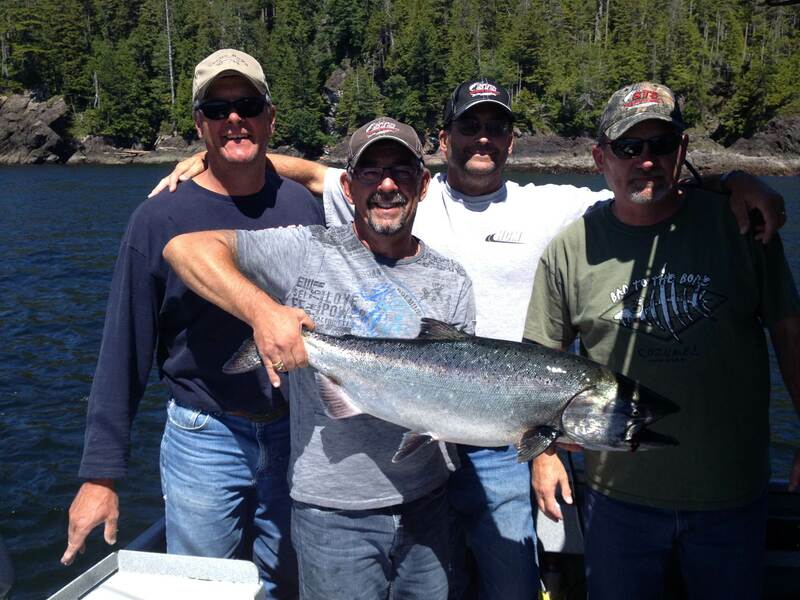 Speaking of Saltwater Salmon Fishing, we are currently busy booking our summer Salmon / Halibut Charters for July/August over in Coal Harbour, Quatsino Sound. This area is one of the top producing salmon fishing grounds on the Island and offers world class fishing in protected calm waters. We start up last week in June and fish hard for 6 weeks. We offer day trips as well as 2,3,& 4 day packages with lodging and meals. Vic will be heading over to the Island in late June to prepare for the peak Salmon & Halibut season, we are currently booking July 1 to August 15 so if you are looking for some great salmon fishing, Vic still has a few days available to fish with him so if you would like to join Vic, give us a call or e-mail. Steelhead season is well under way in the Fraser Valley, lots of anglers out on the water looking for that first fish of the year. Some of our guides have been out working the Vedder having some success but the season has been a bit slower than recent years. Seems to be lots more people out this year so maybe it’s just a bit more difficult to find fresh fish. Water conditions on both the Vedder and Chehalis are low and clear, with this cold weather the afternoon bite is probably your best bet. We find that when we get clear /cold weather, 10am to 2pm can produce the best bite. Most of our guides are using cured salmon eggs and shrimp fished under a float with a bit of yarn, during this conditions chucking a Ironhead Spoon or running a Colorado blade under your float is not a bad choice, especially if you are fishing those larger deeper runs. We have two upcoming seminars in April, our very popular Sturgeon Seminar & River Jet Boat Seminar. Both these seminars are ( on the water) where you will spend the day with Vic Carrao of STS. Please e-mail us or visit our website for more information. The Fraser is in great shape, low clear water conditions are the norm for this time of year and this season is no exception. We have not been out targeting sturgeon but have received a few reports from local anglers who have been out. Not a lot of action but a few nice fish being caught on each trip. Best bait in winter months is Salmon eggs and lamprey eel, either bait should produce a few fish. 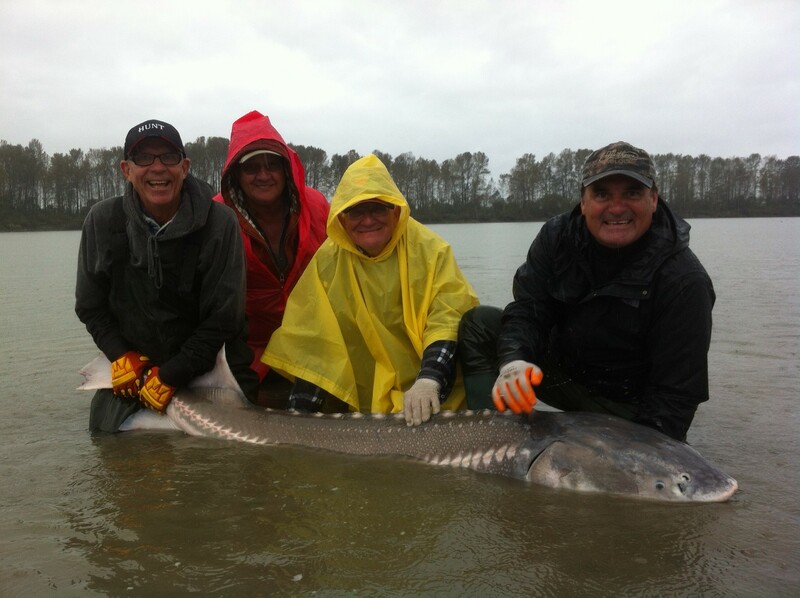 Spring Sturgeon Special – we will once again be offering our "Fill The Boat" spring special, this is a great fishery for sturgeon with peak fishing from April 1 to May 15 but good fishing can last well into June before the high water hits. There is some good winter trout fishing available on the Fraser & Harrison Rivers during winter months, most of the fish are Cutthroat Trout with the occassional Dolly Varden. 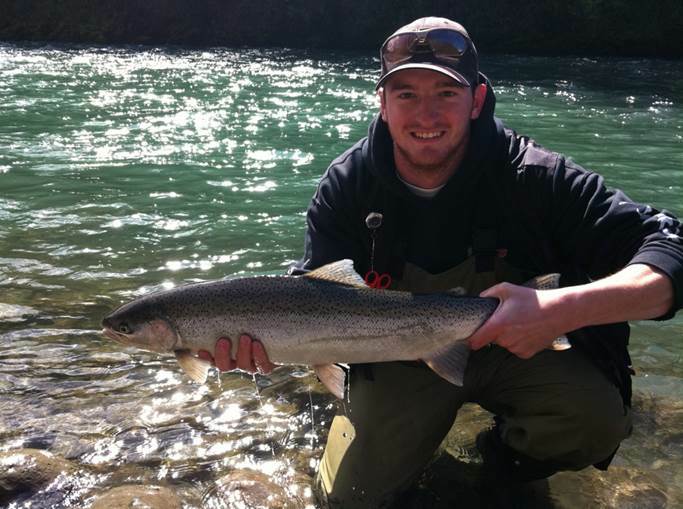 We also intercept the odd steelhead so you should try to use heavy enough leader to tackle one of these just in case. I would recommend using 8 to 10lb Berkley floricarbon for best results. Salmon fry won’t be hatching yet but using minnow patterns still work well, also there is a prolific winter stonefly hatch on the Fraser so carrying a few of these fly’s would be useful. For the 2014 Season we are offering 3 options to experience the Fraser Canyon, you can do our 2 hour Hope to Sailor Bar tour for $99, 4 hour hope to Hells Gate for $129 and our full day Tour with Sturgeon Fishing for $275.00. If you woulkd like more information on these tours, please feel free to call or e-mail us.  BC Boat & Sportsman Show Special – The BC Boat & Sportman Show is coming up in the middle of March, STS will be at the show as well as Hells Gate Jet Boat Tours, our booth is in the same location as past years so please drop by and say hello. We will be offering several show specials, we will post on this blog so keep coming back as we get closer. Book our 2 hour or 4 hour Hells Gate Tour at the show and get one person half price. FREE DRAW – Enter to WIN FREE VIP Tickets to BC Boat & Sportsman Show, just send us an e-mail and we will enter you to win. Red Deer Sportsman Show – We are heading to Red Deer for the fishing show at the end of February, if any of our clients from Red Deer would like tickets to the show, please e-mail me and we will be happy to send you a few. If your looking to get out salmon or sturgeon fishing over the next few months, our boats will be back in the water March 1. Please feel free to call or e-mail us for information, pricing or to book your next guided fishing trip. We will be posting information on show specials,new products you will see at the upcoming shows and sponored products such as Fenwick, Penn, GibbsDelta & Humminbird so drop back or join our blog and receive automatic updates. 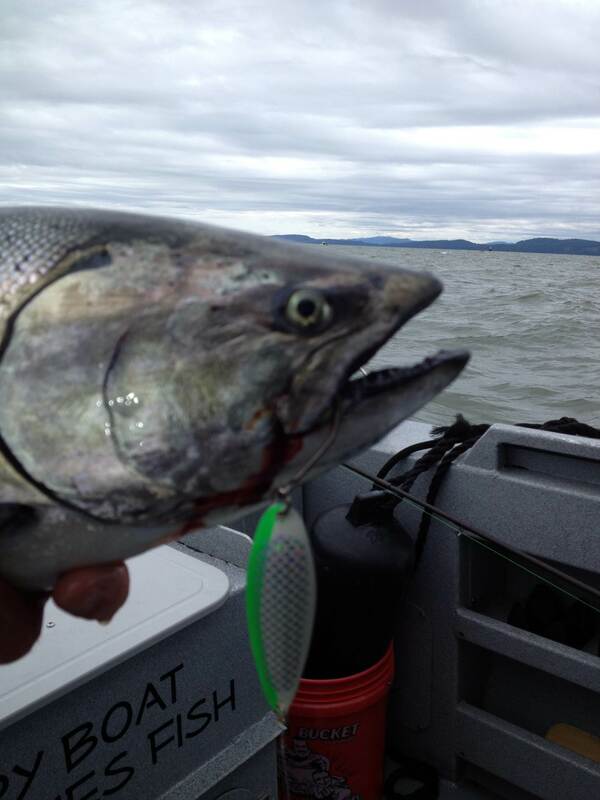 You are currently reading Feb 05 Fishing Report Update at Hells Gate Jet Boat Tours Blog.